Upload a picture of your face (or a face), post it on Facebook, and you will get a coupon in the mail for a FREE DiGiorno pizza! fyi- once the picture is published on your page you can fill out a form so they know where to send your coupon. It's SLOOOW. 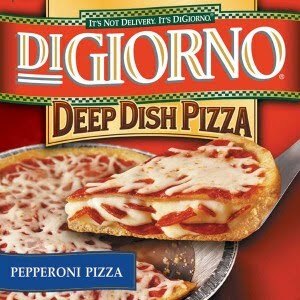 If your not into that you can also get a $1/1 DiGiorno Deep Dish Pizza printable coupon.